It is recorded that Nabi Muhammad (s.a..w), at the age 57 sent his uncle Sad ibn Abi-Waqqas to China. Waqqas met the Chinese Emperor Gaozong in 651 and got permission to practice Islam in China. Waqqas build the very first masjid in Guangzhou and named it Huaisheng Mosque (Mosque in Memory of Prophet Mohammad). 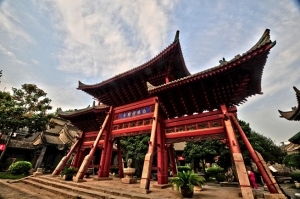 ICT Islamic Heritage tours will bring you to visit some of the sacred Islamic places: Guangzhou Huaisheng Mosque built in 651; Xian Great Mosque built in 742; Beijing Niujie Mosque builid in 996. You will also visit the city of Linxia nicknamed China's little Mecca by Chinese Muslims. If you have a short vacation like 5 to 7 days and you want to visit some of the world famous destinations in China, you may choose from our specially tailored Twin City Muslim Tours visiting cities like Beijing, Xian, Shanghai, Guilin, Guangzhou & Shenzhen. Available tour itineraries are Beijing/Shanghai Tour; Beijing/Xian Tour; Beijing/Guangzhou Tour; Guangzhou/Shenzhen Tour; Guangzhou/Guilin Tour. Beijing is located in North China, Xian is located in the Northwest China, Shanghai & cities like Nanjing, Suzhou, Hangzhou are located in East China. 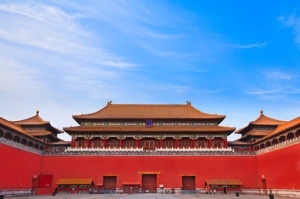 Those cities form a golden triangle and most first time travelers to China choose these cities to experience both China's history and modernization. Infrastructure of those cities are the most advanced; international standard hotels are available; service staff in the travel industry can speak English. Those cities are, no doubt, best choices if you are looking for a comfortable vacation. Guilin is the most picturesque city in China. The Li River cruise from Guilin to Yangshou, following an 83 km long belt of strange landforms, is like traveling along a traditional Chinese Painting. 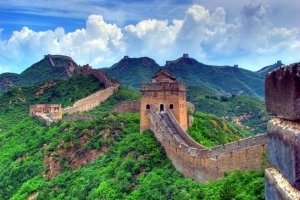 If you have a vacation longer than 10 ten days, our Best of China Tours may be a great choice. We will include Guilin, Guangzhou and Shenzhen together with Golden Triangle cities of Beijing, Xian, Nanjing, Suzhou, Hangzhou and Shanghai. 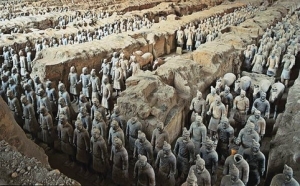 Best of China will enalbe you to experience China's history, culture as well as China's natural wonders. Shandong province is on the eastern edge of the North China Plain and in the lower reaches of the Yellow River (Huang He), and extends out to sea as the Shandong Peninsula. 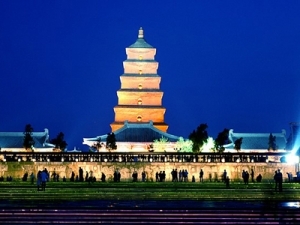 Shandong has played a major role in Chinese history from the beginning of Chinese civilization along the lower reaches of the Yellow River and served as a pivotal cultural and religious site for Taoism, Chinese Buddhism, and Confucianism. 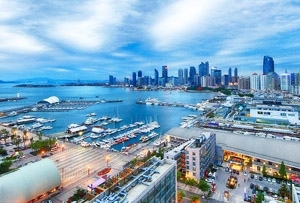 We will include Qingdao, Yantai, Weifang and Taian in the package, which enable you to experience friendly Shandong. The Ningxia Hui Autonomous Region, in the eastern part of northwestern China. Ningxia is one of the cradles of Chinese civilization. It has been proved that human activities existed here 30,000 years ago, leaving behind a rich heritage combining the cultures of Western Xia State, the migrants, the boundary areas, and Islam. 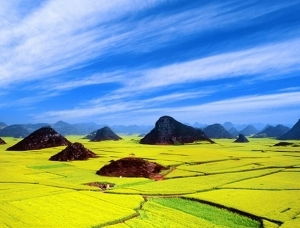 Yinchuan, the capital of Ningxia Hui Autonomous Region, lies to the west of the Yellow River and to the east of Helan Mountain. Our Magical Ningxia Tours will take you to explore China Hui Culture. The Yangtze River Cruise from Chongqing to Yichang is one of the best river cruise experiences in the world. Yangtze River Cruise Tours combine the greatest natural scenery with Islamic heritage in China together by visiting cities like historical Beijing & Xian, Picturesque Guilin, Suzhou (Oriental Venice), Chengdu (lovely Pandas), Lhasa (Tibet), Shanghai. 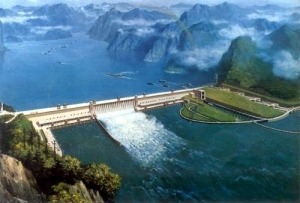 If your vacation is about 11 days to 15 days and you are looking for a relaxing and comfortable trip, our Yangtze River Cruise tours are your best choice. Kunming is called the Spring City due to its pleasant climate; Chengdu is home to Giant Pandas; Lijiang is famous for its UNESCO Heritage Site, the Old Town of Lijiang; Dali is known for its natural scenery, historical and cultural heritage, and vibrant nightlife. The culture diversity of these cities and landscape make them as colorful as the costumes of the people living there. Our Classic China tours will take you to visit cities not only included in Best of China tours such as Beijing, Xian, Guilin, Suzhou, Hangzhou & Shanghai but also cities of Chengdu, Kunming, Dali and Lijiang. The Silk Road was the greatest East to West trade route between China, Central Asia and Byzantium established during 139 BC. Since then, the Silk Road has also become the trading routes between East and West. On the top of trade, religious belief of Buddhism and Islam had gotten their way to China. The current Muslim population in China is over 30 million and most of them are living along the Silk Road area. 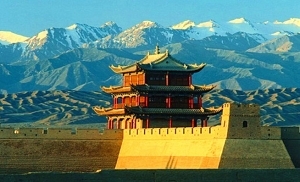 Our Silk Road Tours will take you to explore the oasis cities of Silk Road, such as Dunhuang, Turpan, Kashgar as well as citiesof Urumqi, Jiayuguan, Xining and the little Mecca of China, Linxia. The Land of Snows, the roof of the world. Tibet has been locked away in its mountain fastness of the Himalaya for centuries. 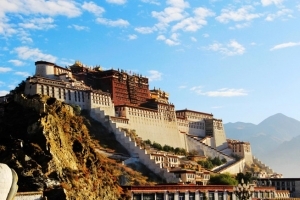 For travellers, Tibet is without doubt one of the most remarkable places to visit. It offers fabulous monastery sights, breathtaking high-altitude treks, stunning views of the world’s highest mountains and one of the most likeable peoples. With an average elevation of over 4000 meters above sea level, there are four mosques and thousands of Tibetan Muslims living in Lhasa. Our Tibet Discovery Tours will help you to experience Tibet’s unique culture and find the secrets of Tibetan Muslims. Tell us of all the things you would like to see and do and we will tailor a trip to fit your exact dates and requirements! Create a perfect holiday! 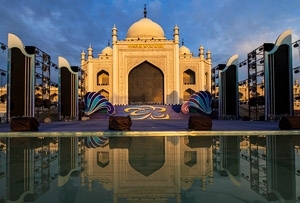 Whatever your individual requirements, we are expert at designing a personal itinerary tailor-made to your needs, taking into account the time you have, what you may prefer to see, accommodation, transport and meal preferences.